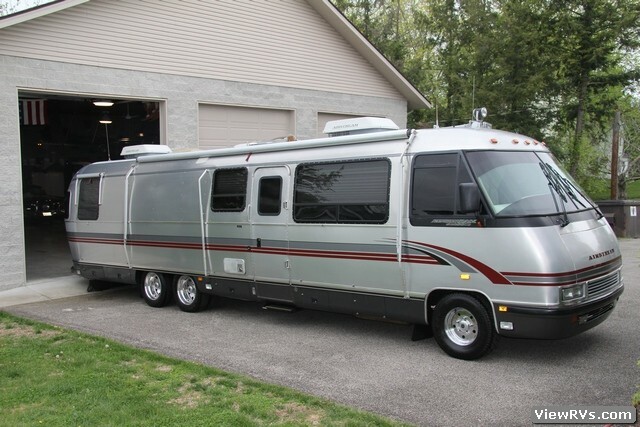 1995 Airstream Classic 36' Motorhome Exhibit "F"
Airstream has always been viewed as the premier coach builder in the recreational home business. Their space age designs and aerodynamic forms have defined the travel industry! 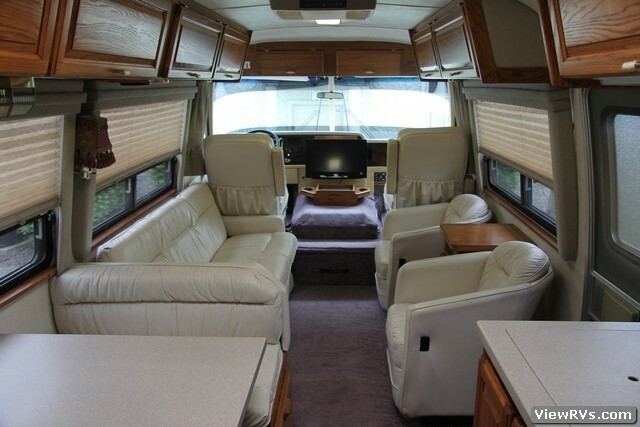 This Airstream Classic is a low mileage Coach ( 39,802) with all the optional features, has been regularly serviced and is in very good to excellent condition. All of the systems work fine and it is ready for its next trip. 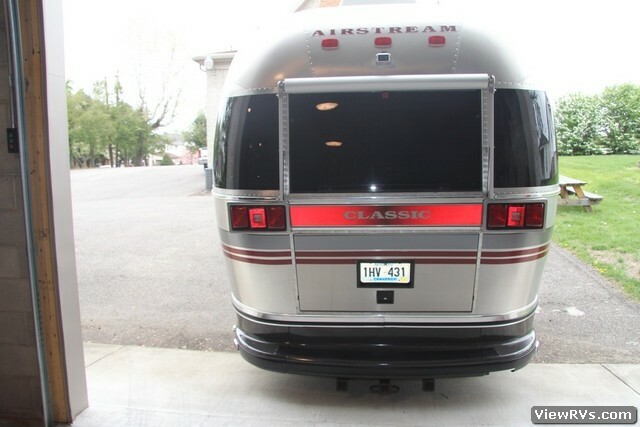 This is the last of the CLASSIC aircraft style aluminum frame and skin construction, built the way an Airstream was designed to be built. 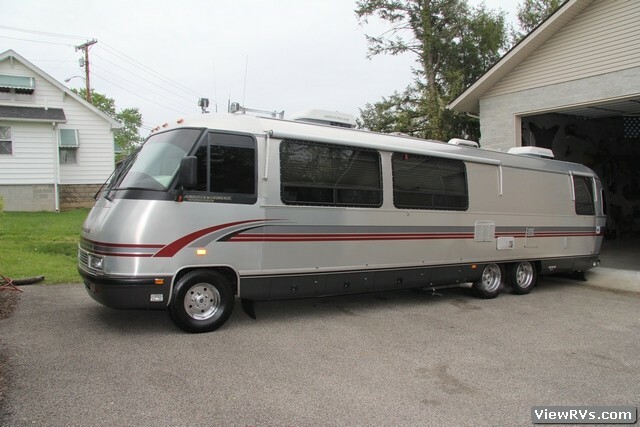 A 1995 model built on a 1994 Chevy chassis with the 454 CI powerhouse engine and even better an added “Banks Power Pack” for even more power and much better gas mileage. This low profile, bullet shaped beauty will get up to and sometimes over 10 miles per gallon on regular gas! 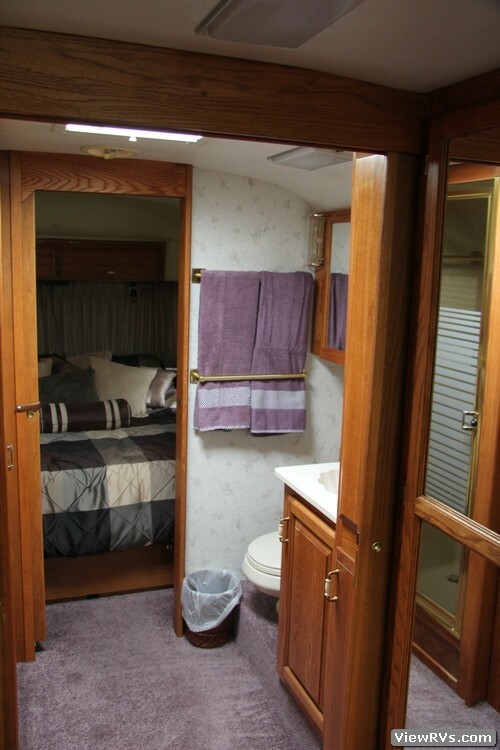 DESCRIPTION / FEATURES: This unit stands just over 10’ tall including the two roof A/C units with heat. 30 & 50 Amp service runs both A/C units (you need to be on 50 amp to be practical running both A/C units) as does the 7.0 KW Onan Generator. 2 LP furnaces (and a 105Lb. Propane tank) keep the unit nice in the coldest weather, and plenty of fresh water (80 gal.) and large holding tanks (40/45 Gal.) 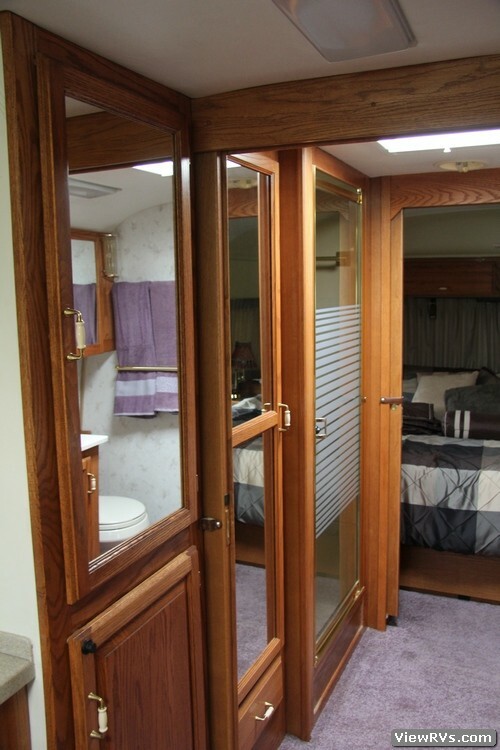 allow you to dry camp a weekend or so without hook ups. 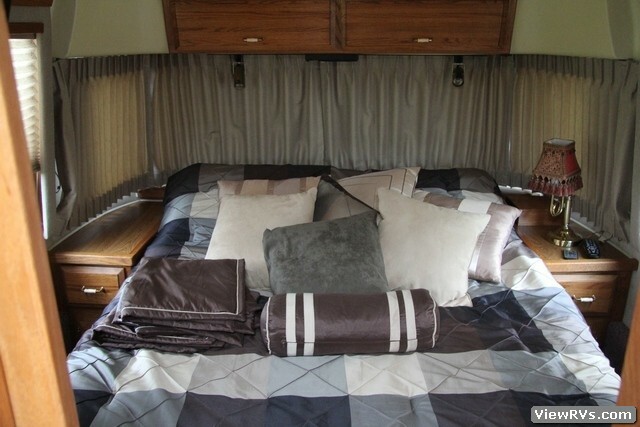 Airstream is known for comfort like the rear island QUEEN SIZE BED, ZipDee Awnings (one Large Patio, 1 large and 3 small window awnings, All in great shape and the Matching Original Cloth). 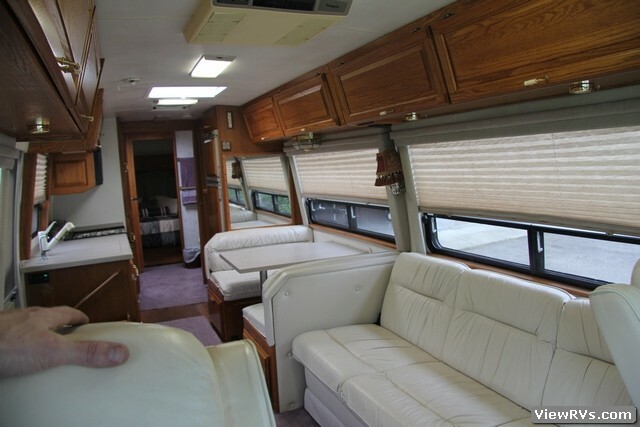 4 Leather seats (Including the Driver & Passenger Power seats) a leather couch long enough to make a comfortable double bed, and a dinette booth with a Corian table and leather seats. Both a 3 burner range with an oven and a Convection/Micro wave over the range, makes cooking easy. 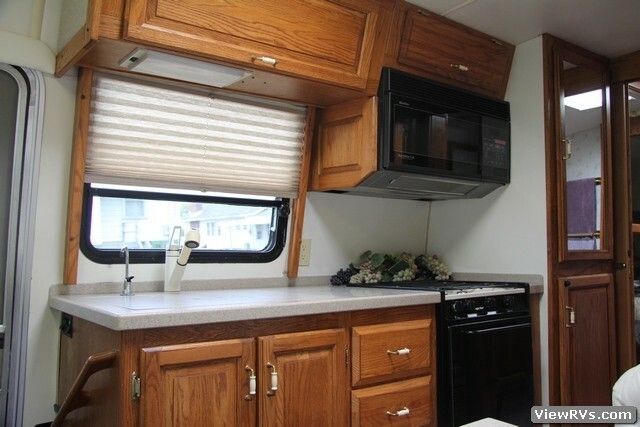 Corian counter tops and lots of SOLID OAK cabinets including a multi drawer Pantry, 2 closets, bath storage, drawers under the couch and bed, outside storage including a huge rear trunk, and more give you a place for everything. 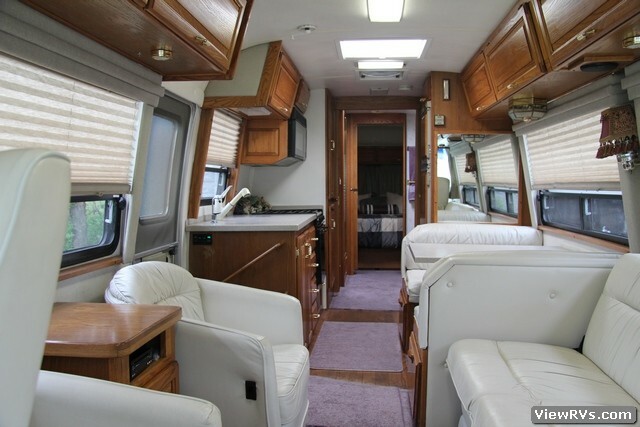 Recent audio/ video and stereo upgrades, 2 LCD televisions with remotes, DVD player, AM/FM/CD player and more, like cedar lined lighted wardrobes, tinted glass, docking lights, 3 way fridge, great shower, 6 GAL. water heater with motoraid (hot water while you drive) & electronic lighting, cable/telephone hook ups, back up camera, heated mirrors, 4 automatic leveling jacks, power step, 2 NEW Coach batteries, China toilet with sprayer, Skylights, safe, exhaust fan, fantastic fan, fluorescent lights, water purifier, water hose reel, nice big windows with day/night shades, new curtains, new front air bags, automatic adjusting air suspension on the Tag Axle, about 5 year old tires with almost full tread, halogen running lights, touch pad door entry and storage bay locking system , really there is just too much to describe it all. 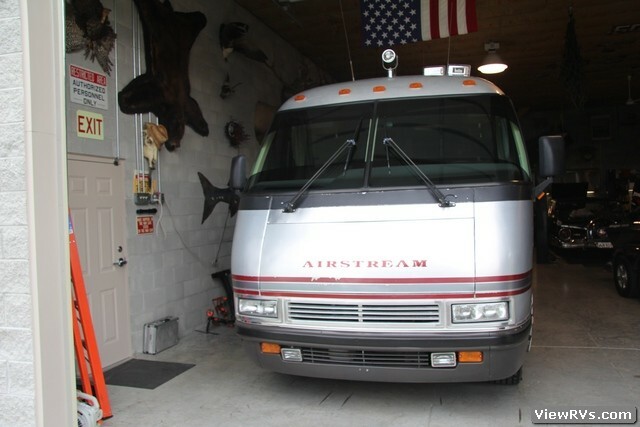 This Airstream has been stored indoors (climate controlled) except when used, which is approximately 2 weeks a year. 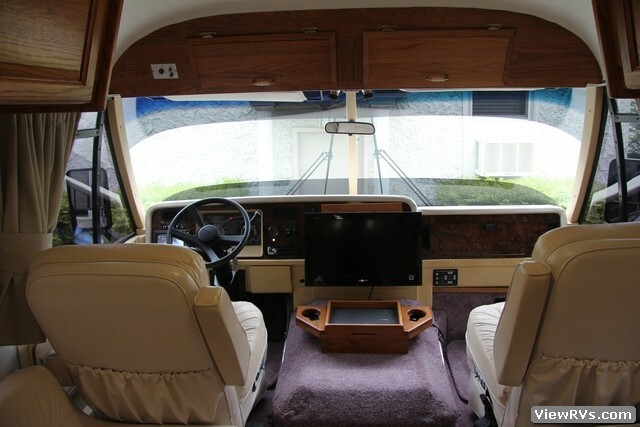 Includes original owners manual, wiring diagrams, and Chevy P30 chassis maintenance manual. CONDITION: This is a 1995 so I can not say it is perfect, but I would truly classify it as Outstandingly Clean and in Great shape. The only mechanical things that I know that affect it is that the ice maker has been taken out of the fridge ( I think the line leaked). All the appliances and systems seem to work as they are supposed too. 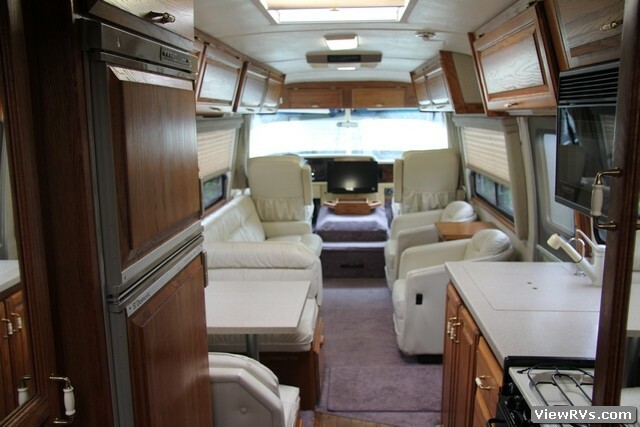 You will be very pleased with the condition of this Classic Coach and it is ready to go traveling. There is nothing to hide so ask what you want and look at the pictures as close as you want to. 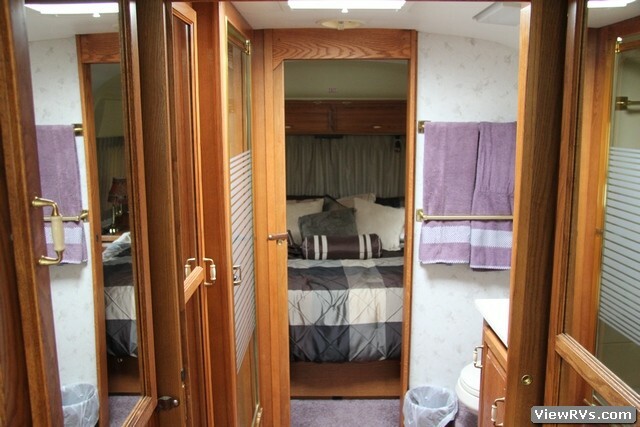 Actual dimensions: Length 36’, Height 10’4", Head room 6’7", interior width 7’7"